This book, y'all. It brought tears to my eyes. It was like a page out of the dichotomy of my childhood. I spent part of my life growing up in the official Norwegian Capitol of Texas. Even though childhood was difficult, I have these memories of being in this little community of settlers. My grandmother and her seven brothers still held fast to traditions, food, and the language. I can remember many a meal starting after a prayer in the native tongue of the motherland. They loved Jesus in this quiet ,simple way that left an indelible impression on my heart. Reading this book took me back there. The story is about an immigrant family and the struggles they went through in America. I identified personally with so much of it. Once the church her dad pastored voted him out for someone younger. As she told how this hurt their family, I felt her pain. 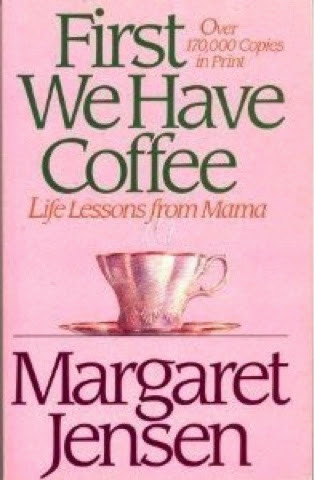 Mostly, though, the book was about mama. You should read this and fall in love with her. I found myself wanting to be like her, to nurture and love the way she did to those around her. I may have prayed for that during the reading. The sweet, simple faith she shared reminded me very much of Corrie tenBoom. There is often a story told about a family with no money traveling to a new ministry position and they stop at a restaurant to get a cup of coffee. The man inside feeds them a four course meal for free. A few months later, the father goes back to repay the man and there is no eatery, no man. The town folk said there never was any such a place. That story is from this family. The book is filled with many beautiful, heartfelt portraits of a family bent on sharing the love of Christ. The way mama loved her husband was deeply touching to me. There was also a funny story about an older gentleman getting up to the altar and then weeping and refusing communion. He told everyone he had been living in sin because there was a woman he was living with, but he couldn't remember marrying her. The preacher comforted the man and reminded him that he had been at the man's wedding many years ago. Read this precious book, y'all. I may end up reading all of her writings. This book was lent to me by my dear friend Paula La (Paula La lala la la la la).